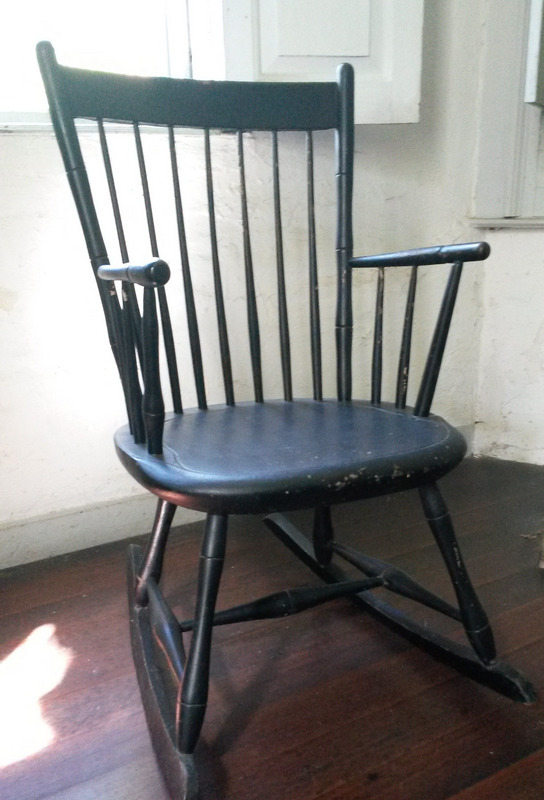 This chair was given to the Museum in 1962 by Theophilus's great-grandson Alfred Jones along with a card that notes "Belonged to Theophilus Huntington when the study was their sitting room.... Probably belonged to Dan Huntington and given by him to Theophilus". Theophilus, the seventh child of Dan and Elizabeth Huntington, was born in Middletown on July 11, 1811. When he was 5 years old, the family moved to Hadley. Around 1840, Theophilus married his second cousin Eliza Fitch Lyon (1817-1892). In 1833 Theophilus received some land from his father. He apparently lived in Hadley until his death on July 20, 1862.